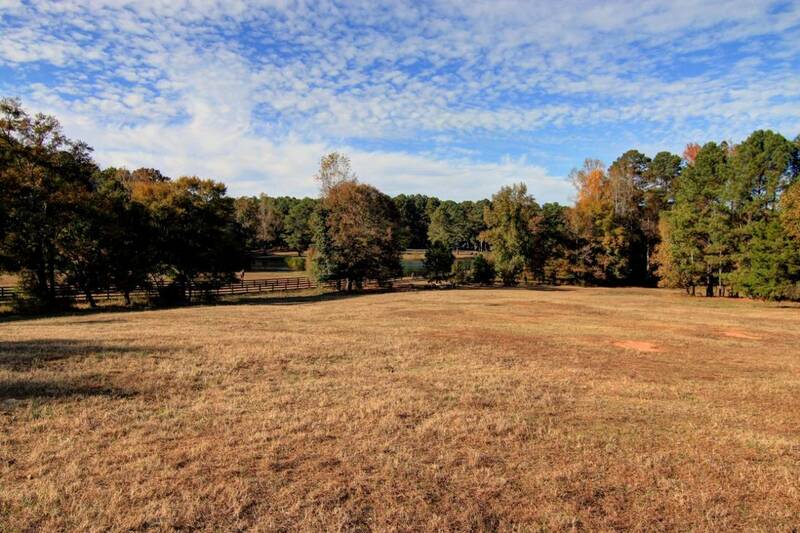 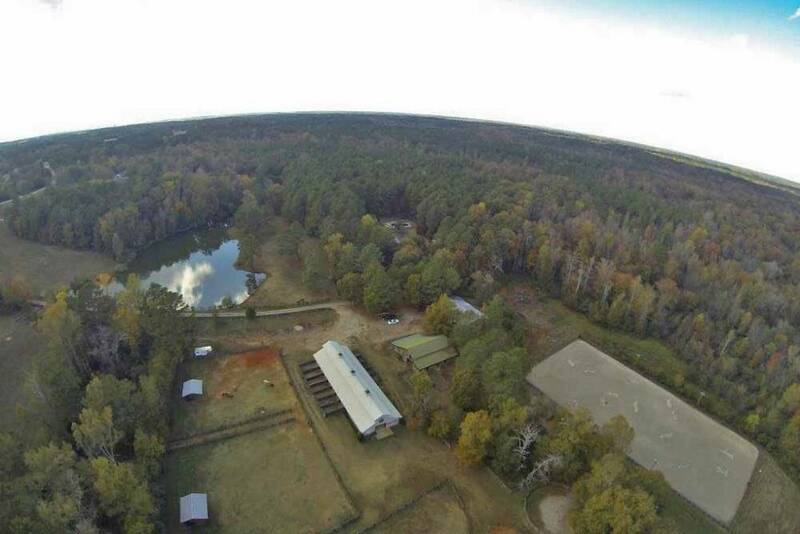 76 Acres Equestrian Oasis tucked behind a gated entry close to both olde town Conyers and historic Covington is an easy commute to Atlanta, the airport , Olympic Horse Park and Shire Baxalta - This spectacular farm offers 76.56 very private acres of fenced and cross fenced established pasture land, a lovely home overlooking the lake, 2 Horse Barns with 12 stalls each, an equipment barn, run-in sheds, 300’x150’ lighted arena and miles of wooded trails, and cross country jumps. 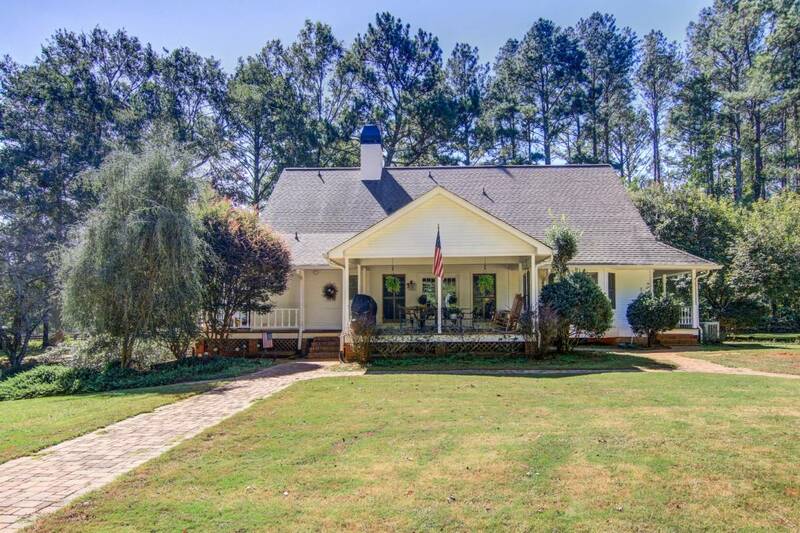 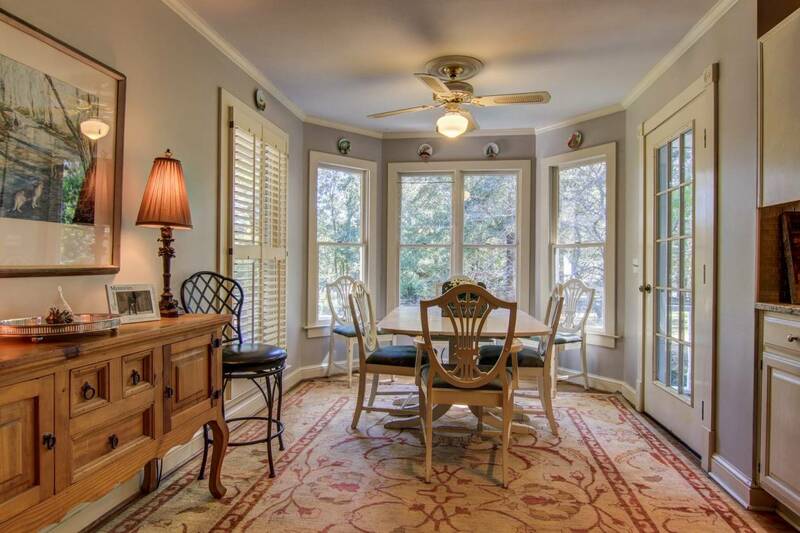 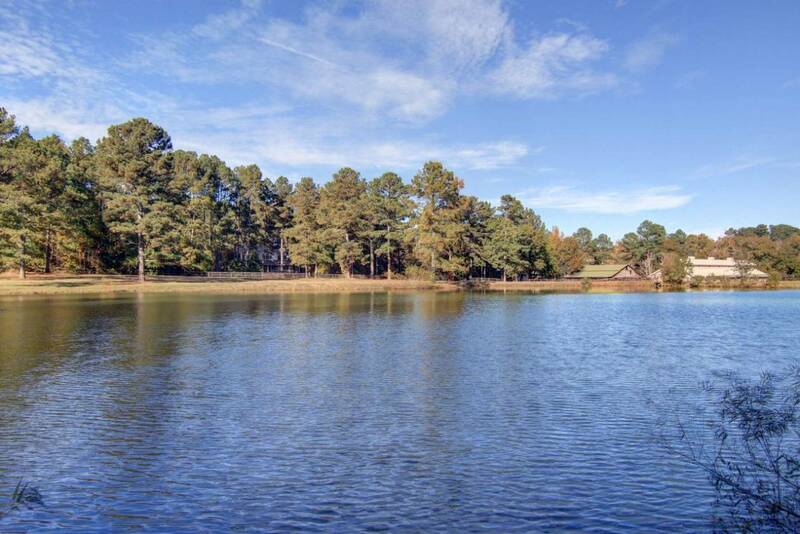 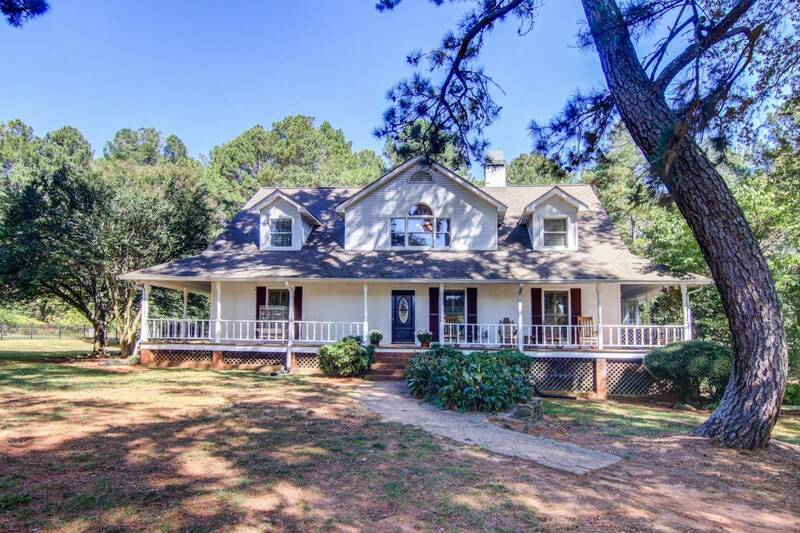 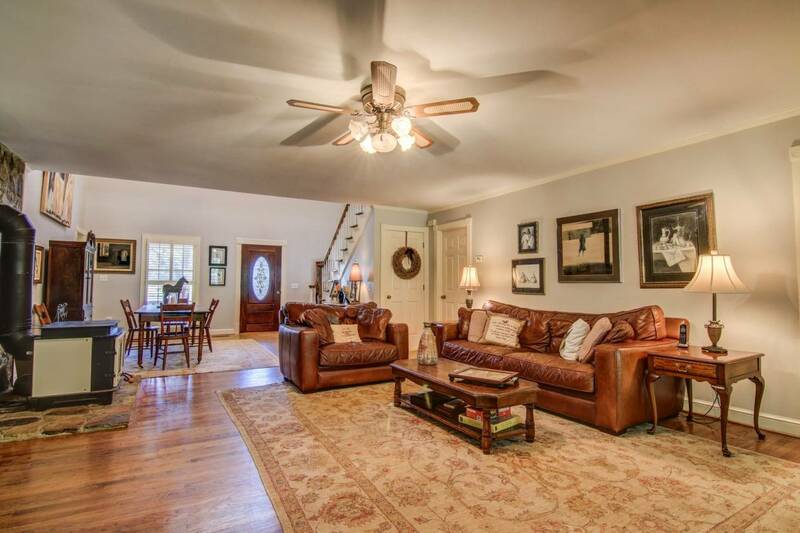 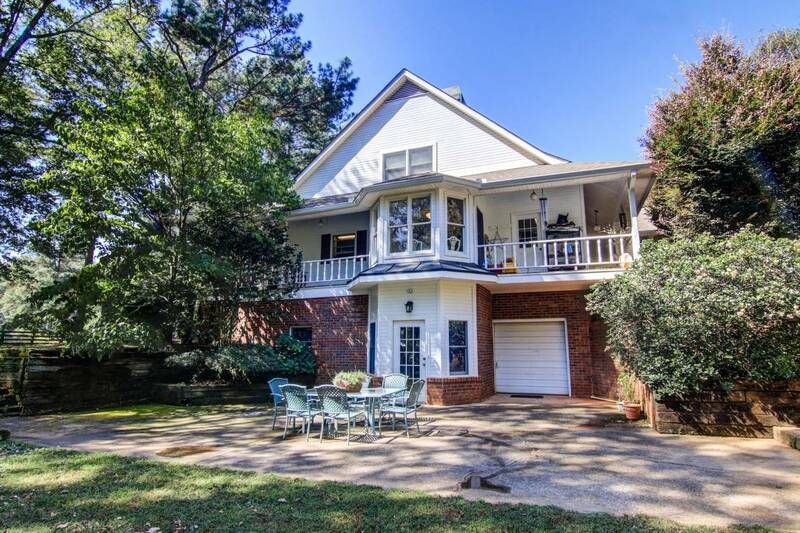 The lovely 4 Bedroom and 3.5 Bath custom home has been newly remodeled and features central vac, a wonderful floor plan with a 1 bedroom apartment on the terrace level, wrap around porches with spectacular views of the 4+ acre lake, and hardwood floors. 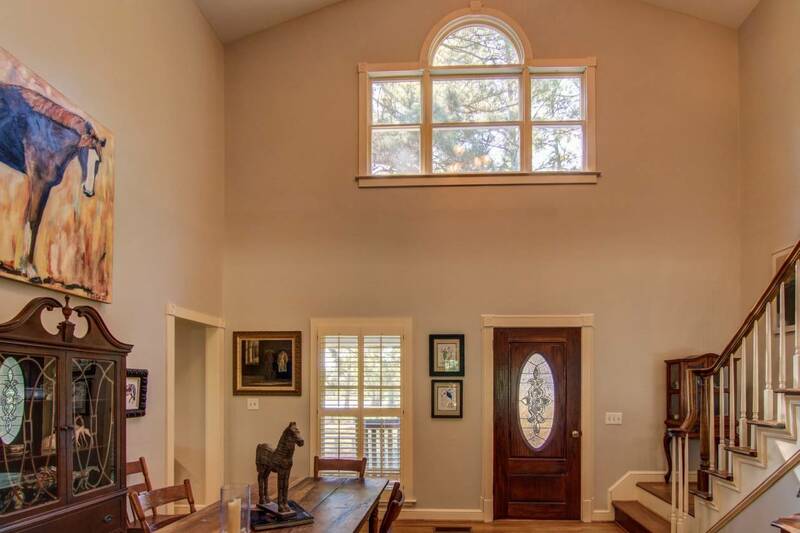 A cozy great room with new paint and stone hearth opens to a covered back deck which leads to an in-ground saline pool with pebble tech finish, and sundeck ledge. 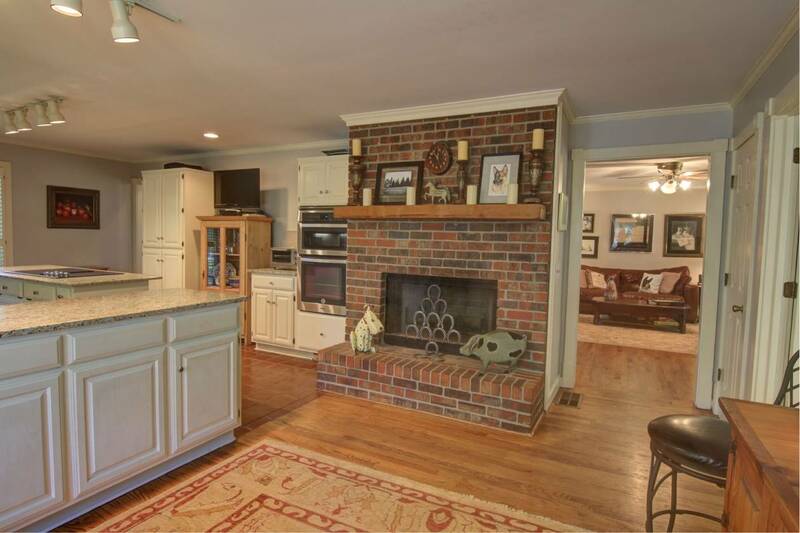 This homes open floor plan includes a vaulted ceiling dining area open to the great room and a big eat-in kitchen with brick fireplace, new granite counter tops & center island, new stainless appliances and sunny bay windowed breakfast area. 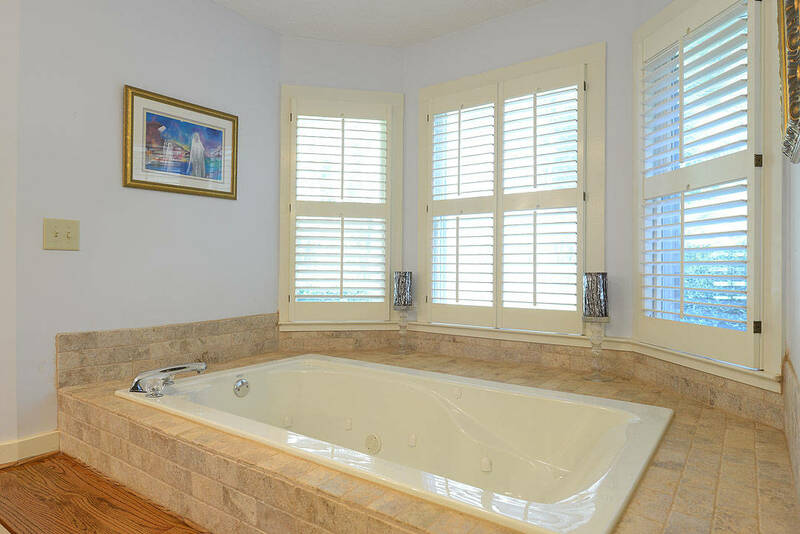 The master is on the main with private access to the porches and a remodeled spa like master bathroom featuring double vanities, a jetted tub, tumbled marble tiled shower with glass enclosure, and walk-in closets. 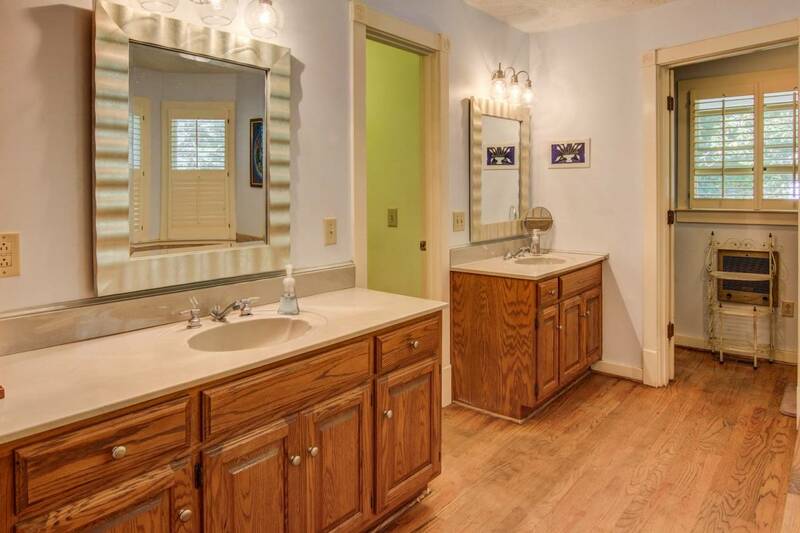 2 additional bedrooms upstairs are large with sitting areas, ample closets and share a full bath. 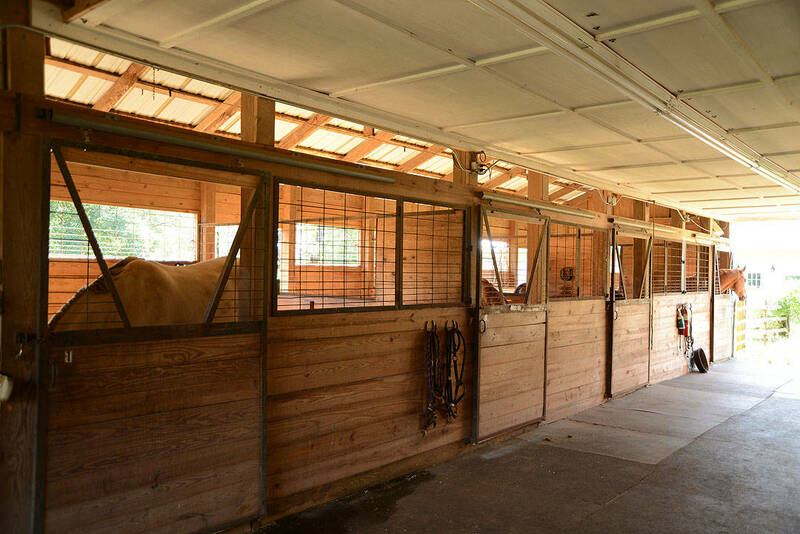 The newer barn built in 2006 features a wide center aisle, 10 12’x12’ stalls and 2 14’x12’ stalls with mats and outside patios, an office with heat, air, and tile floors, a feed room, restroom with shower, tack room, wash room with commercial washing machine for your horse blankets. 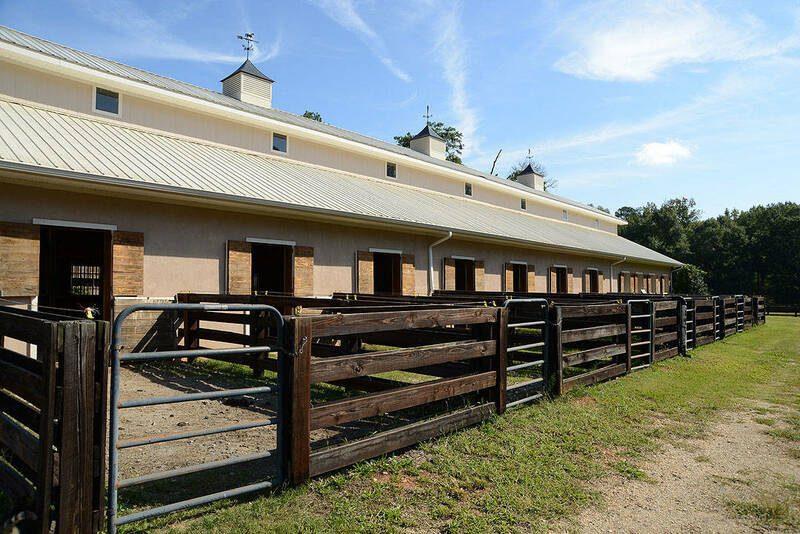 2 hot & cold water wash racks and a fly spray systems. 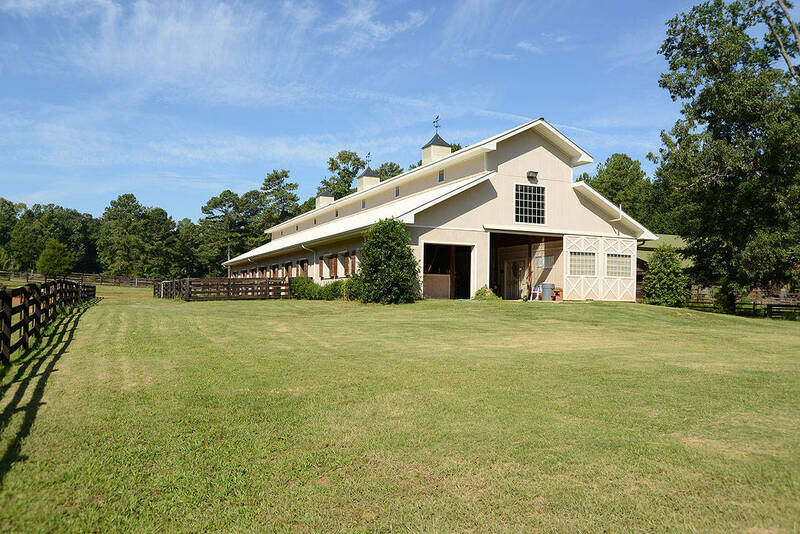 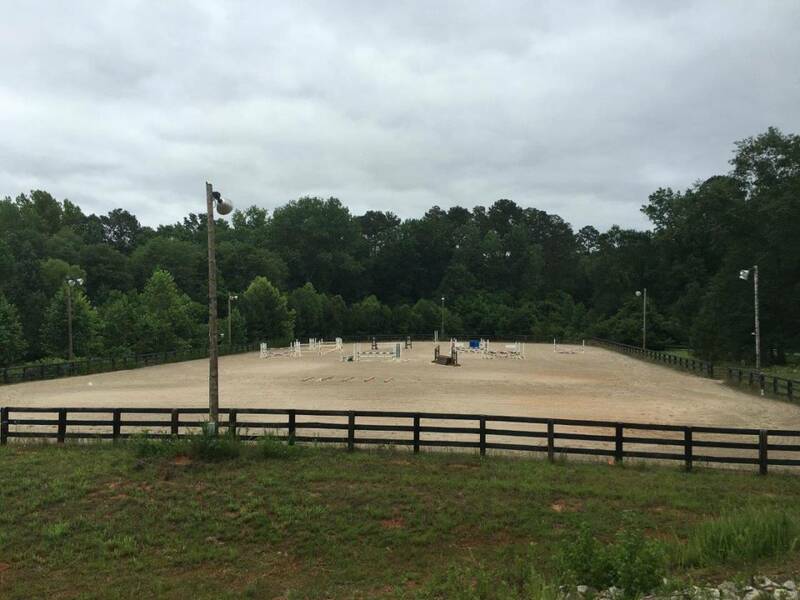 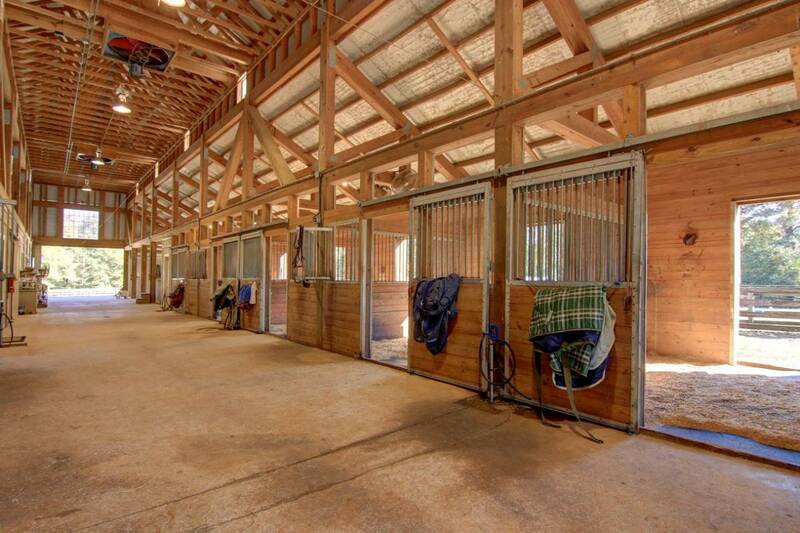 The older barn is very functional with 12 additional stalls, 8 stalls with paddock turn outs (some with additional no-climb fence makes great dog kennels if needed), a wide center aisle, tack room, half bath, built-in feed box & tack lockers, upstairs storage, and outside wash rack and fly system. 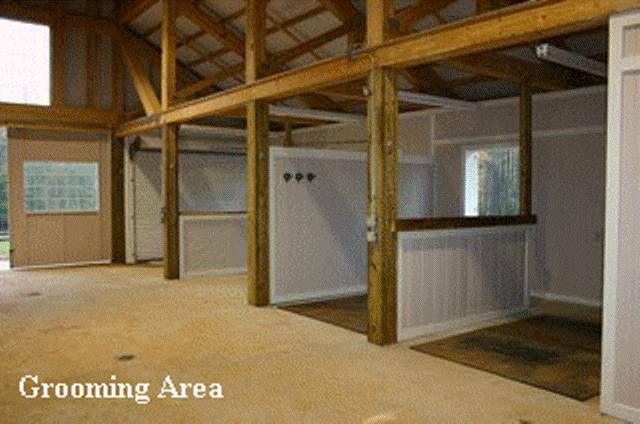 The Equipment Barn features an area for shavings, separate area for hay and tractor storage. 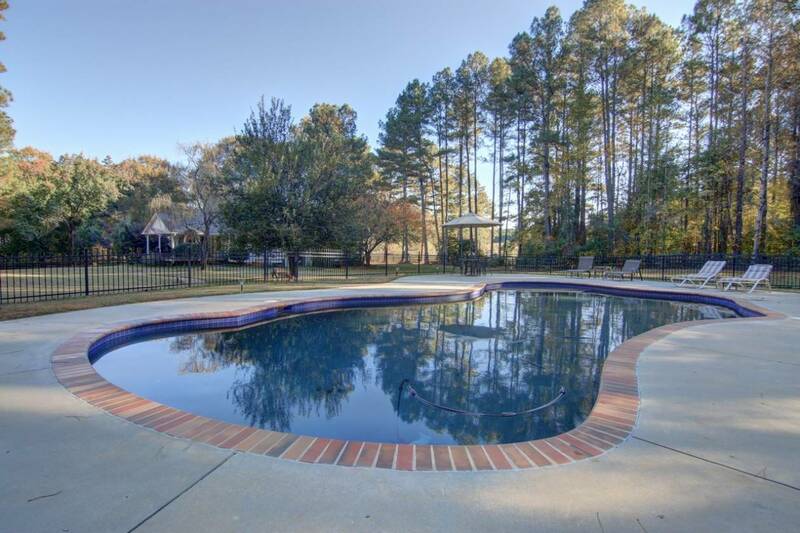 Fenced yard and garden areas, beautiful landscaping, irrigation systems, tree lined driveway and gated entrance complete this exceptional property. 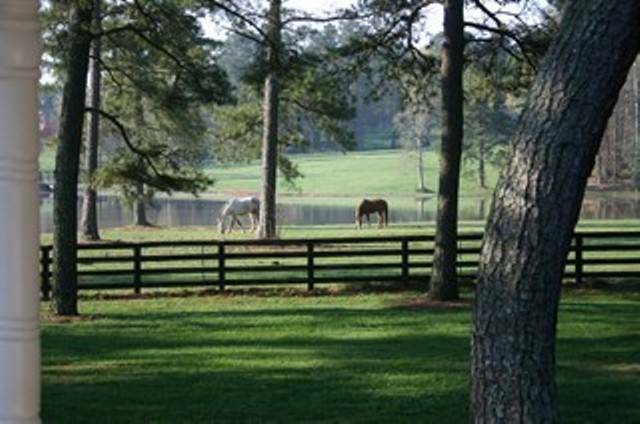 There is so much here for you, your horses or horse business! 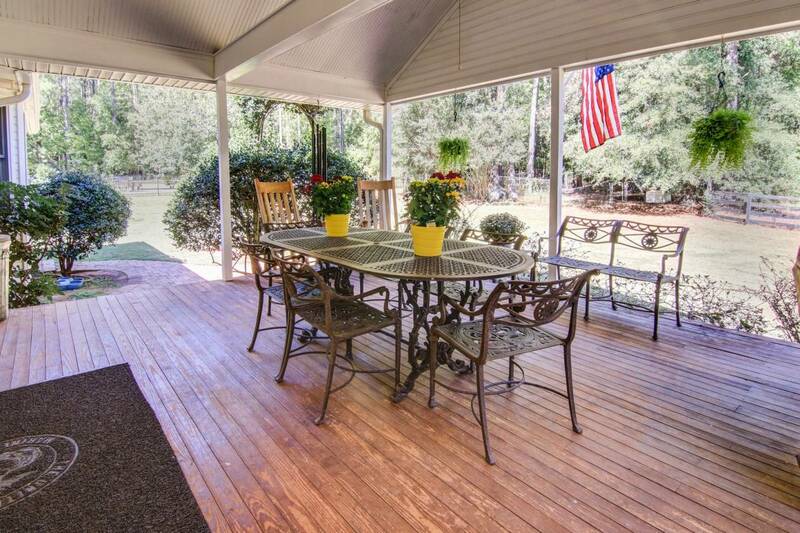 Qualified Buyers please call to make an appointment for a guided tour. 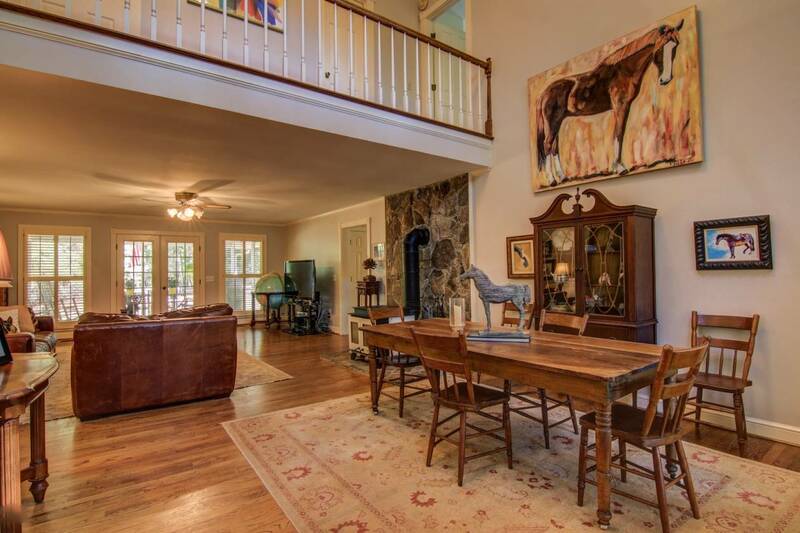 This property really has to be experienced to appreciate all there is to offer. 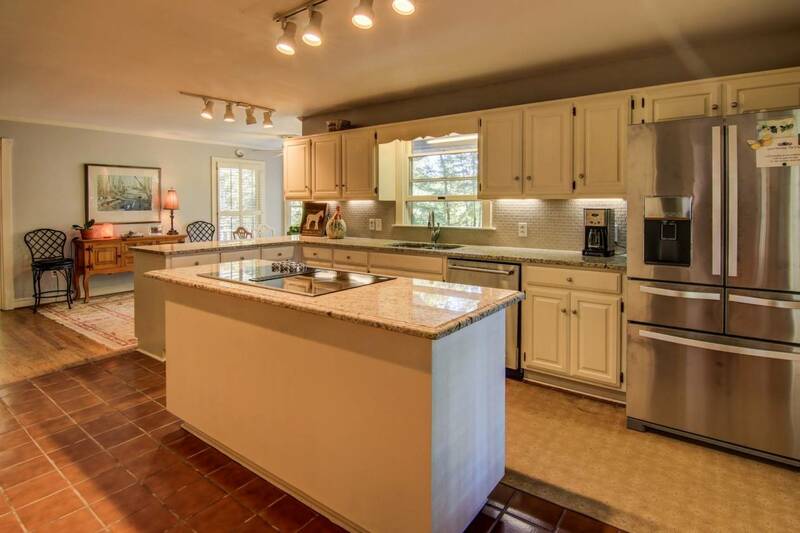 It has been reduced! 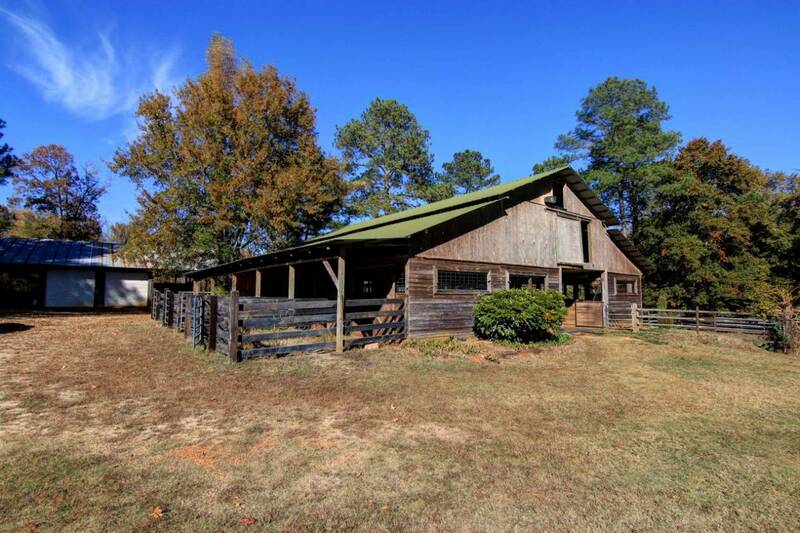 Make it your farm this spring!